Help us feed the bees! We spend over 240lb of sugar every 2 days to provide our bees with food to survive the winter. 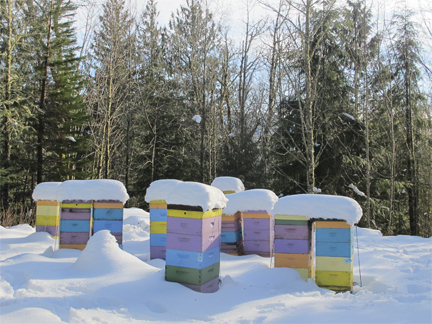 It adds up very quickly and without the feed, most of the hives will not have enough stores to stay alive until spring. Your help is always appreciated! Please complete the form bellow to donate, your money will be used to purchase as much sugar as we can store.